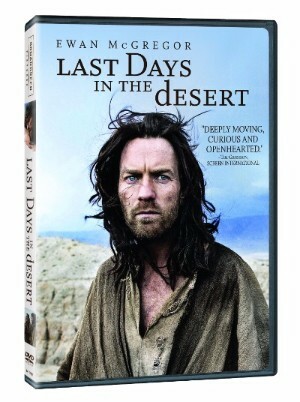 LOS ANGELES (June 21, 2016) – Ewan McGregor (Star Wars franchise, Miles Ahead) is Jesus — and the Devil — in Last Days in the Desert, an imagined chapter from Jesus’ 40 days of fasting and praying in the desert. Written and directed by Mexican filmmaker Rodrigo Garcia (Albert Nobbs, Mother and Child), the film also stars Tye Sheridan (X-Men: Apocalypse, Mud), Ciaran Hinds (“Game of Thrones,” Frozen) and Ayelet Zurer (“Daredevil,” upcoming Ben-Hur). This moving and beautifully shot film follows Jesus on his way out of the wilderness and the struggle with the Devil over the fate of a family in crisis that puts him to a dramatic test. Last Days in the Desert is available on DVD, VOD and Digital HD on August 2. Last Days in the Desert was shot by Academy Award® winning cinematographer Emmanuel Lubezki (The Revenant, Birdman) and features a stunning score by Danny Bensi and Saunder Jurriaans. The film is produced by Bonnie Curtis, Julie Lynn and Wicks Walker. Last Days in the Desert follows Jesus (McGregor) in an imagined chapter in his 40 days of fasting and praying in the desert. During his time in the wilderness, he is faced with temptations from the Devil, also played by McGregor, over the fate of an ordinary family in crisis, setting for himself a dramatic test with distinctly human conflicts.